Area youth helped places like Mahaska County Outreach get cleaned up and organized during the Youth Day of Caring on Saturday. 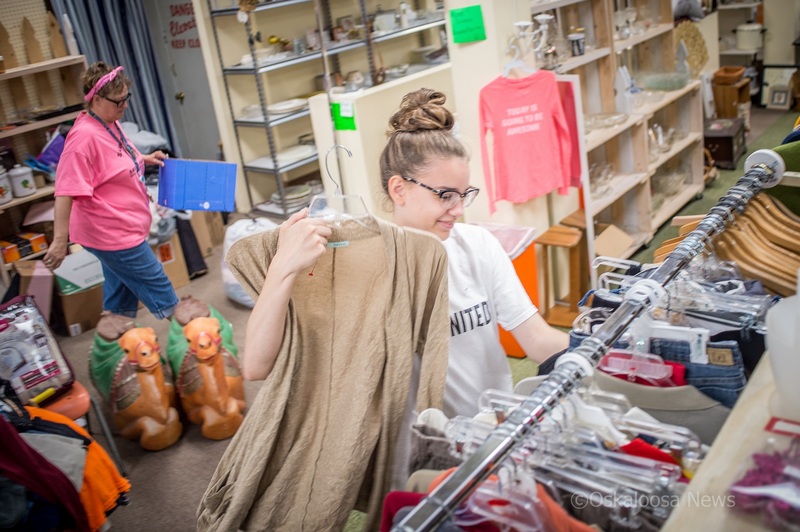 (Oskaloosa, Iowa) – Rain nor wind could dampen the spirits of nearly 30 Oskaloosa Community School District youth (grades 9-12) who participated in the first annual Youth Day of Caring through the United Way of Mahaska County on Saturday, May 12. Projects varied throughout the community as identified by local non-profits and community agencies, so each group was matched with a perfect project for their team. Participants could designate physical or non-physical tasks, the best time of day to work, and preference on who or what would be worked on (such as non-profits, individuals, elderly, etc.) Examples of projects included fresh paint at the Oskaloosa Art Center & Studios, as well as new carpet and a fresh paint job at the United Way offices. Participants were fed for volunteering their service. “I had such an amazing time,” said Kenturah Doak of University Park, one of the many participants of Youth Day of Caring. “Thank you [to United Way of Mahaska County] for giving me an opportunity to help out our community.” Doak said she had fun and hopes to do more activities like Youth Day of Caring in the future. This was the first year the United Way of Mahaska County participated in a Youth Day of Caring event, and the organization hopes to continue to grow it each year to better mobilize area youth and make an impact. 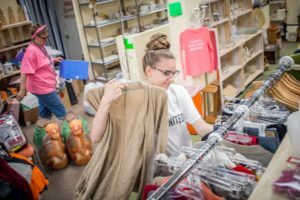 Similarly, United Way of Mahaska County has hosted an overall Day of Caring event the past few years, which invites people of all ages to put aside their projects at home for a day to pick up a project to better the community. Although rain didn’t dampen the work ethic of participants, it did keep a couple of outdoor projects from being completed. Event sponsors included Fareway of Oskaloosa, Mahaska Drug, and Mahaska (Bottling Company). Posted by Hailey Brown on May 13 2018. Filed under Local News. You can follow any responses to this entry through the RSS 2.0. Both comments and pings are currently closed.